The visitors’ four-day study tour included a host of activities at INTI’s campus in Kuching as well as trips to the Consulate General of the Republic of Indonesia in Kuching, the Hilton Kuching and various places of interest. 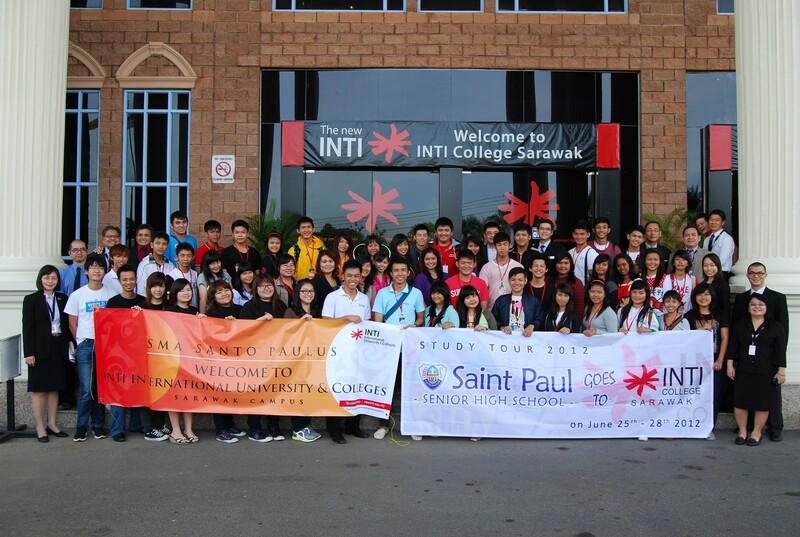 INTI College Sarawak students and staff with the students and teachers from SMA Santo Paulus. Activities on campus included an English workshop which reaffirmed the importance of English as an international language and a unifying language that facilitates advances in knowledge, commerce and technology. Workshops on hospitality and culinary arts saw Chef Sebastian, INTI’s Resident Chef Lecturer and his team of hospitality professionals treating the visitors to a cooking demo. At Hilton Kuching, they learned the vital role of academia and industry, working as one, in developing professional talent. INTI’s Diploma in Hotel Management programme is offered in partnership with the 5-star Hilton Kuching. The programme enables students to enjoy the best of both worlds; academic studies at INTI College Sarawak coupled with professional skills training at the Hilton Kuching. 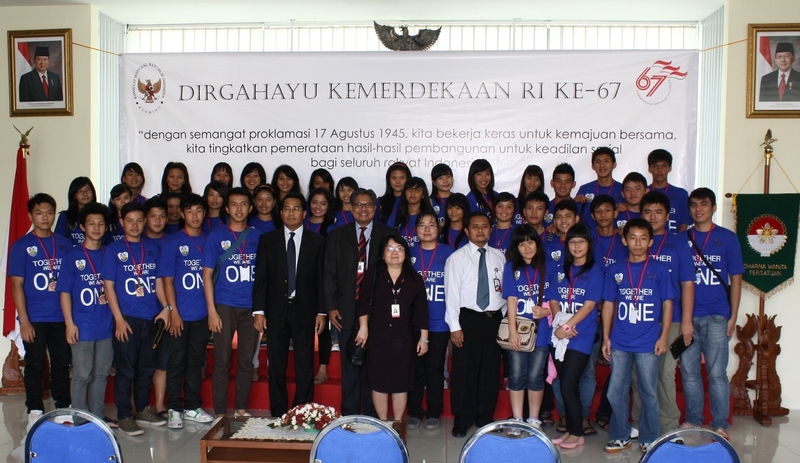 SMA Santo Paulus students at the Consulate General of the Republic of Indonesia in Kuching.